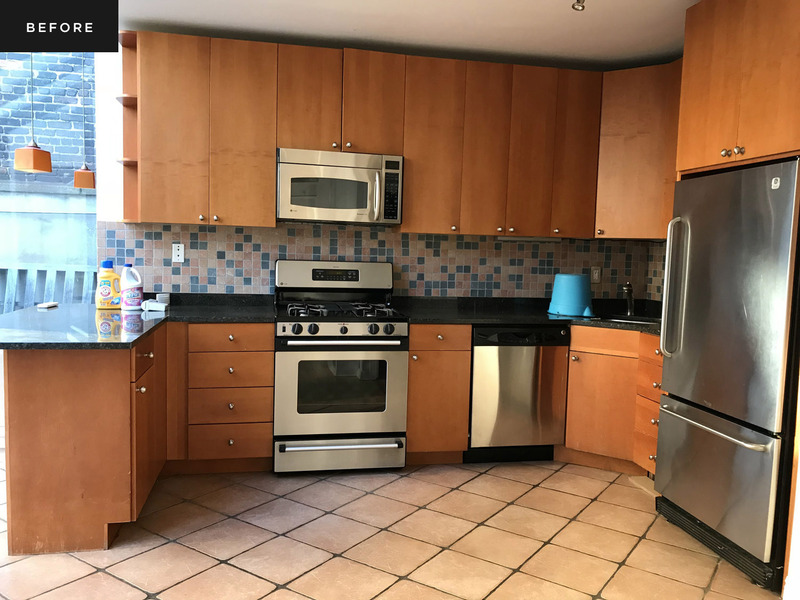 The layout of the kitchen was functional, but Becky’s client was ready for an update to the finishes. 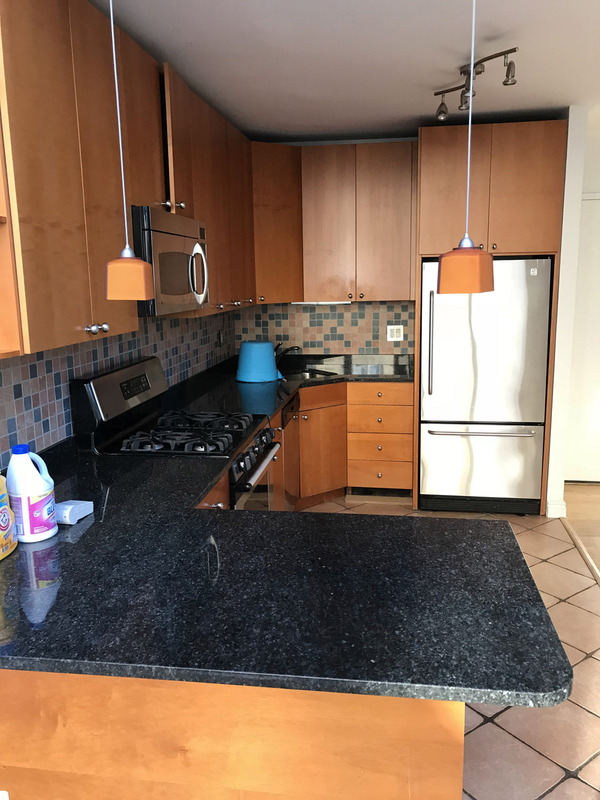 New cabinets, flooring and a fresh color of paint brought this space together. The backsplash adds an interesting layer of texture to the space. 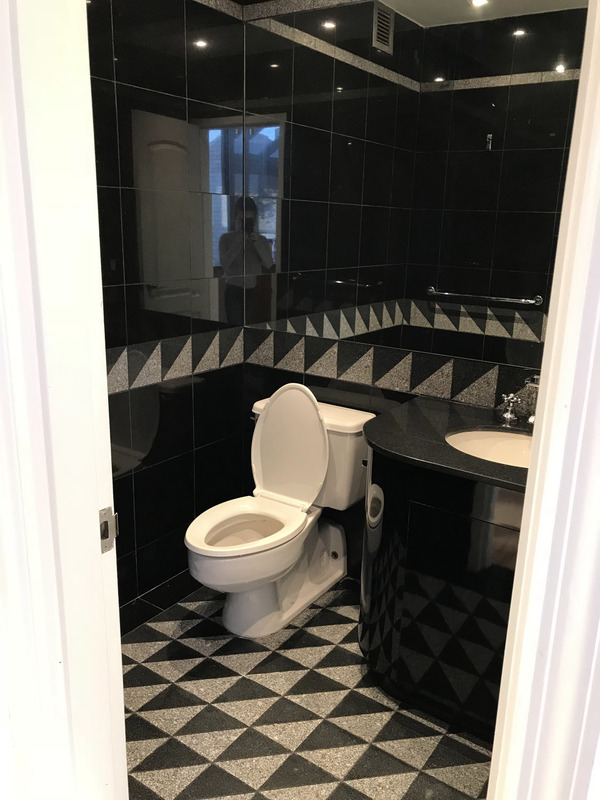 Black tile makes this powder room feel cramped. In Becky’s renovation, the space still uses a darker color but is brightened by use of natural wood and light stone. 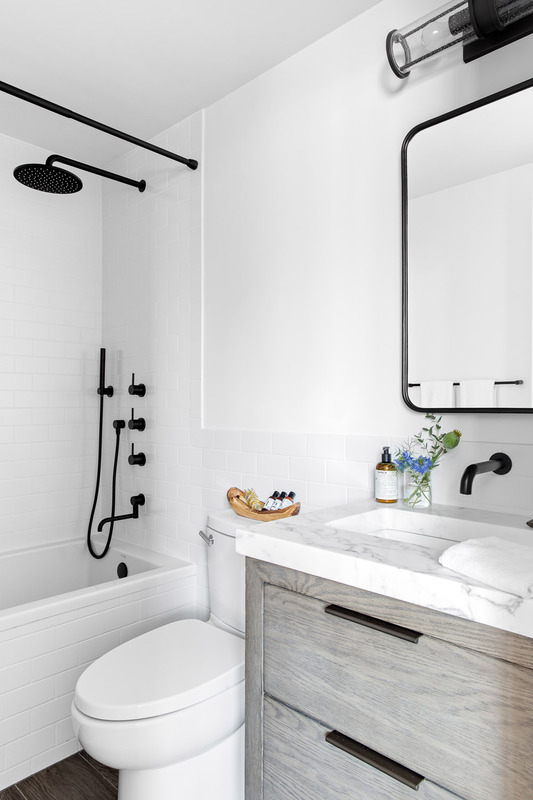 Bright white paint and simple black finishes modernize the space. 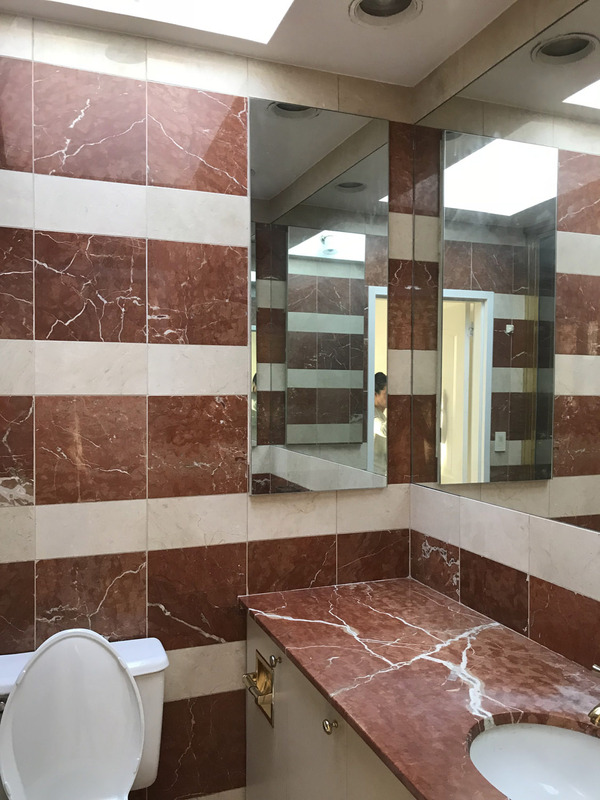 The master bath also felt outdated. Until Becky brought it back to life. 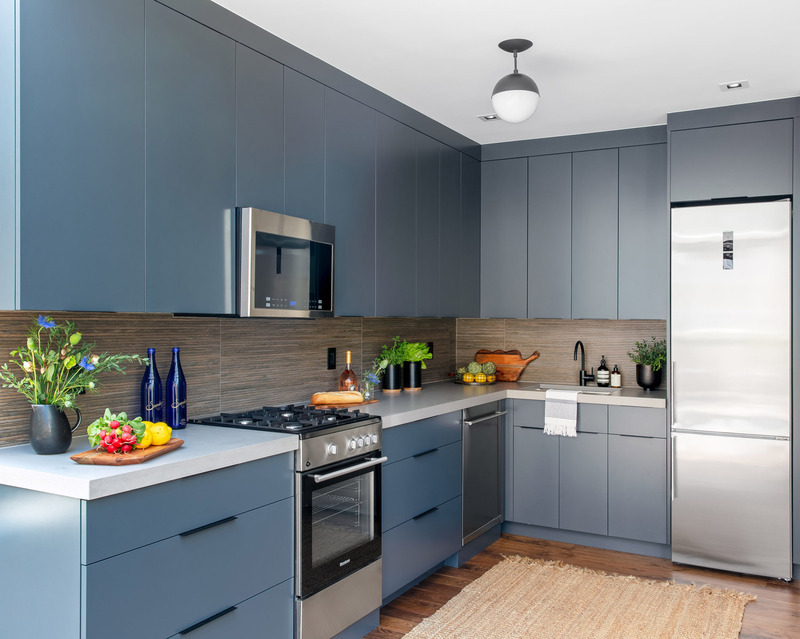 Designer Becky Shea recently completed a full gut renovation of the kitchen and multiple bathrooms in an old converted schoolhouse in the West Village. 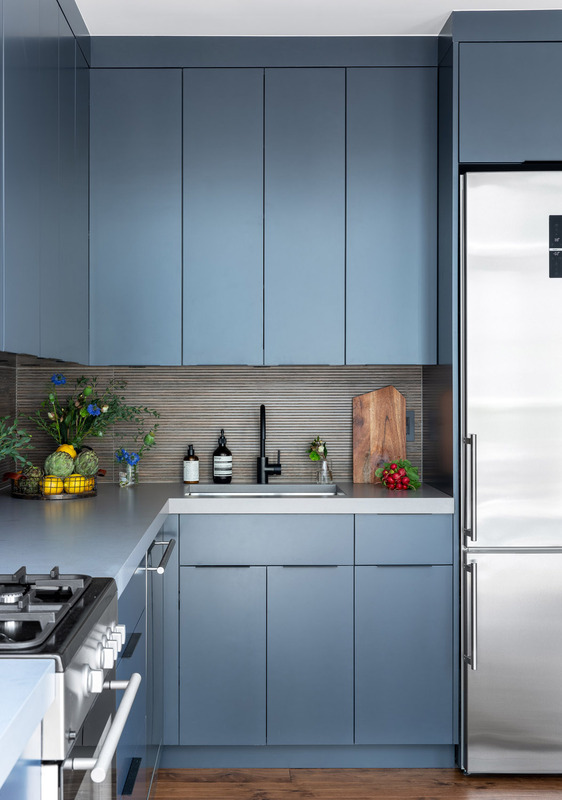 Becky is the founder of NYC-based Becky Shea Designs (which she runs with her husband, Jake) and loves taking on complex renovations. 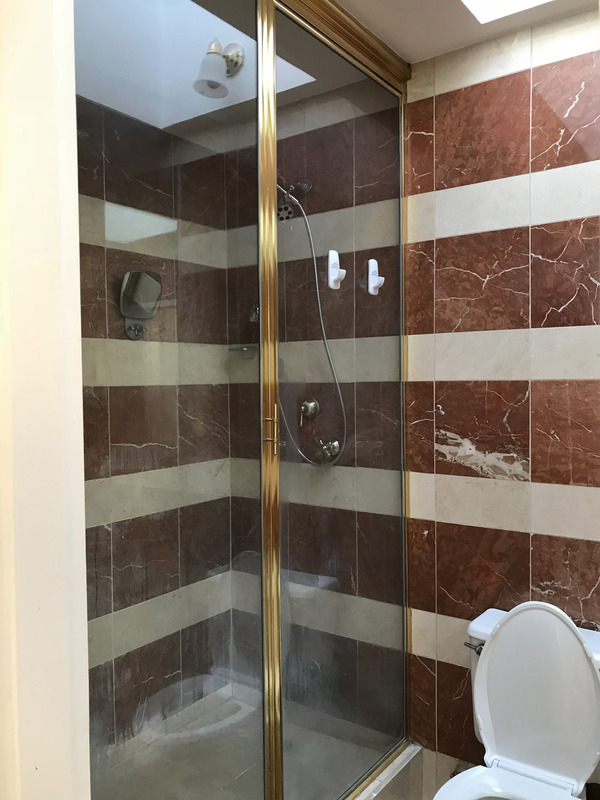 So, we wanted the inside scoop on the advice she gives clients who are looking to do a bath and kitchen remodel. 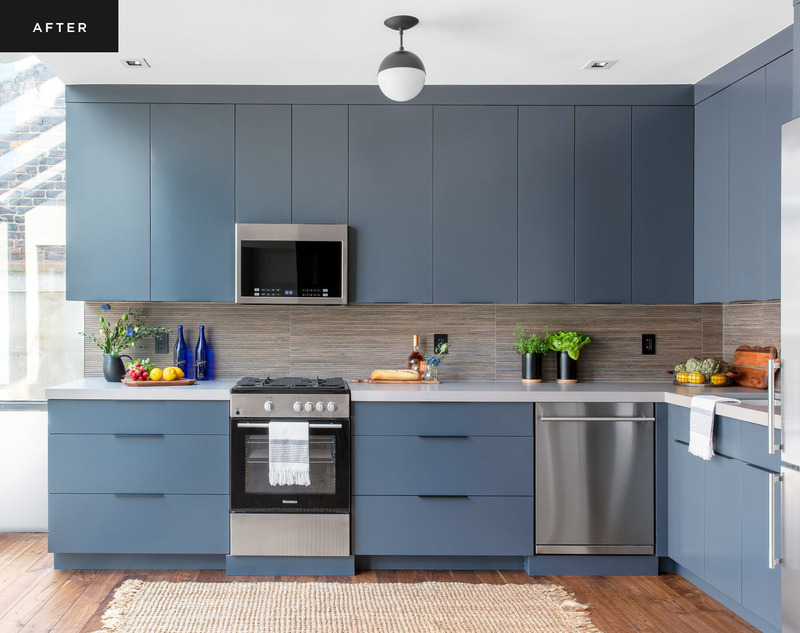 She shares her tips below PLUS before-and-after images of her recent project in the slideshow. Don’t rush through the design and planning phase. This is the most critical aspect of the process that will set up your builders, fabricators, electricians and millworkers for success. Any changes made in the field after construction begins will cost you more. Do keep all your invoices (digitally). It’s important to keep track of every little detail on the financial front during construction. We recommend creating a home improvement financial log that is broken up into construction materials, furniture and trades. You want to know where and how you’re spending so there’s never a moment of surprise. Don’t overdo it with trendy. Simplicity is key. By using timeless elements with long lifespans you’ll be getting your ROI and have a space that is cool for decades. 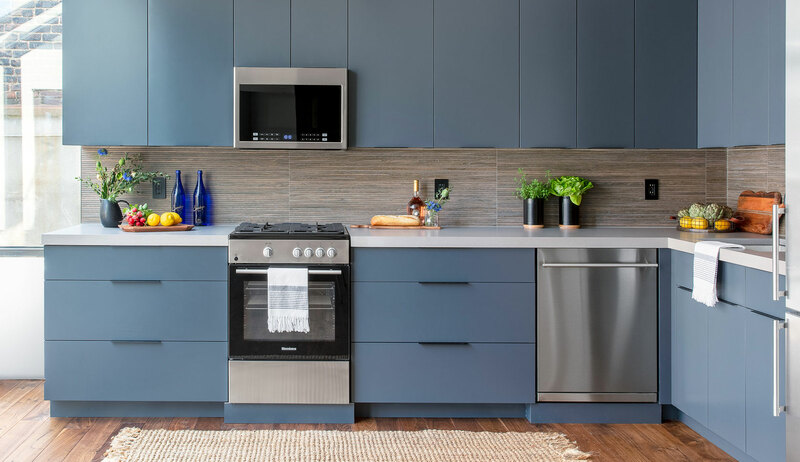 Don’t go crazy with the latest funky backsplash or cabinet colors. Be smart with your finishes, this is the face of your space and you want it to be timeless. Don’t skimp on millwork. If you have the space to take your cabinets to the ceiling, by all means do it! Yes, it may cost you more on the materials front (or it may not), but don’t skimp out on this. 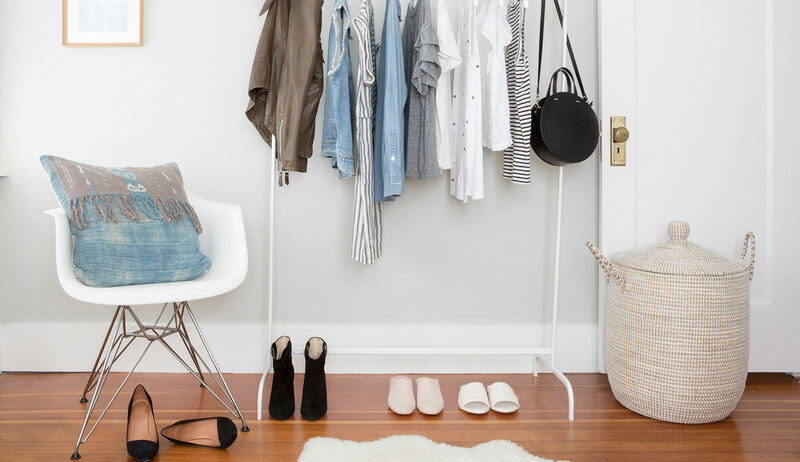 Not only will this strategy provide you more storage but it’ll maximize the vertical rise, giving your space a sense of intentional completeness and higher ceilings. Do always test the best location for your TP holder. You may laugh but this is important. Before our team installs the TP holder, I sit on the toilet to make sure I understand my surroundings and where the reach is most comfortable. We use this space daily, so it’s important to have the conveniences at your fingertips. 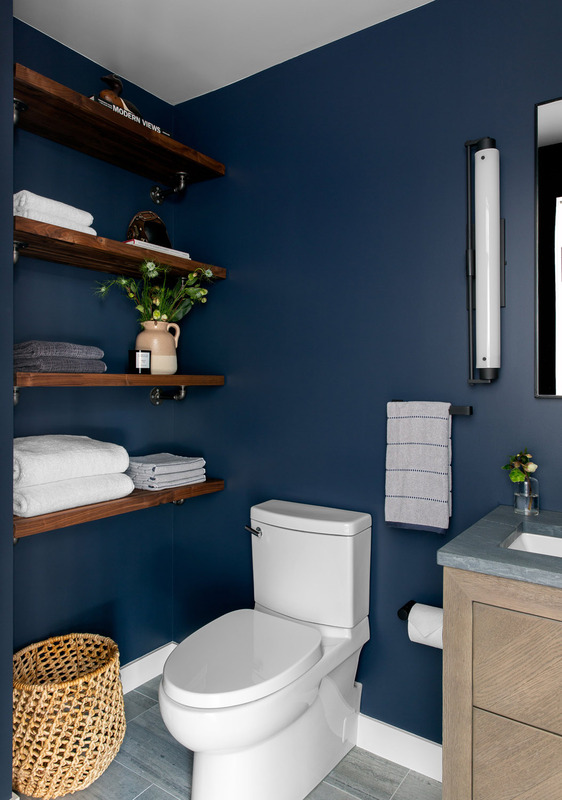 Don’t design a bathroom without storage in mind. 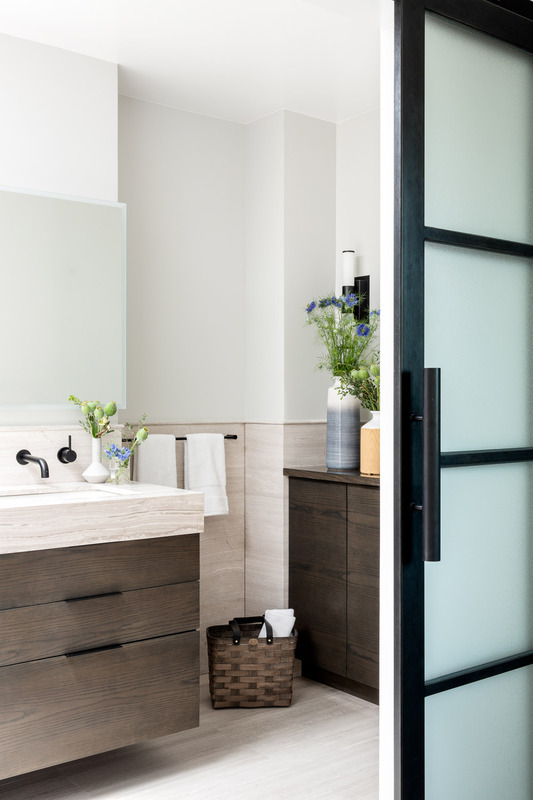 The exception to this rule is a powder room since it’s a quick pit stop for guests and not necessarily where you’ll be spending most of your time getting ready or doing your morning business. 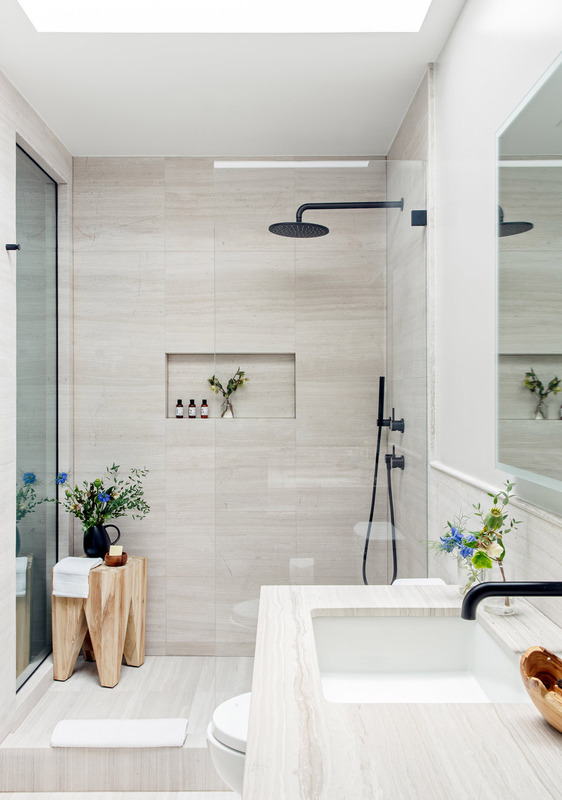 When designing a master bathroom or bathrooms for daily use, always consider storage. You’re going to have TP, wipes, make up, cleaning products, day to day toiletries and you’ll definitely want these behind closed doors and nearby. After all, the flow and function of a space will impact how you kick off your day. Do keep high end materials neutral. In any space, we’re firm believers in neutral palettes that leave a lasting impression for years. 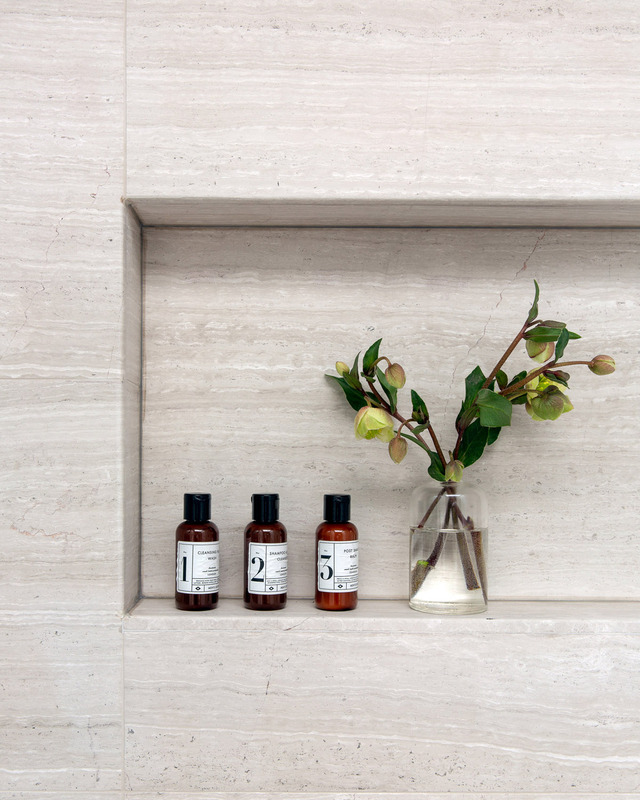 Invest in the right materials for your floors and shower that can blend with just about any trend or personal touch. Inject your personality through accessories, and visually striking elements like hand towels, planks for free standing bath tubs, lighting fixtures and candles. Don’t hire cheap labor. While this may seem like a slick move for your bank account, we guarantee it’ll cost you more down the line had you hired the folks with better skilled laborers. There’s an old saying that you get what you pay for…. keep that top of mind! 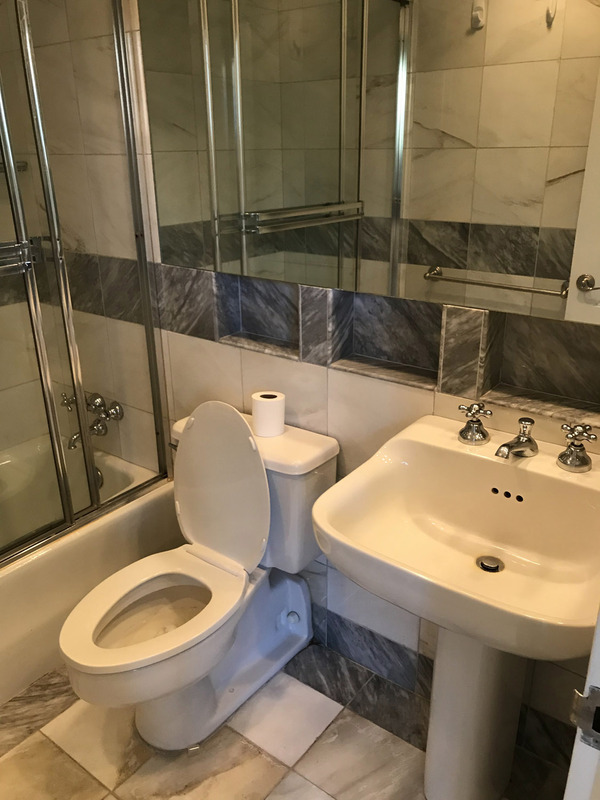 Bathrooms require multiple trades and it’s important that you vet the right team. What costs you more upfront, will cost you less headaches and result in a product you love and can use without fear of things going wrong. Time is money and peace of mind is key to successful results.